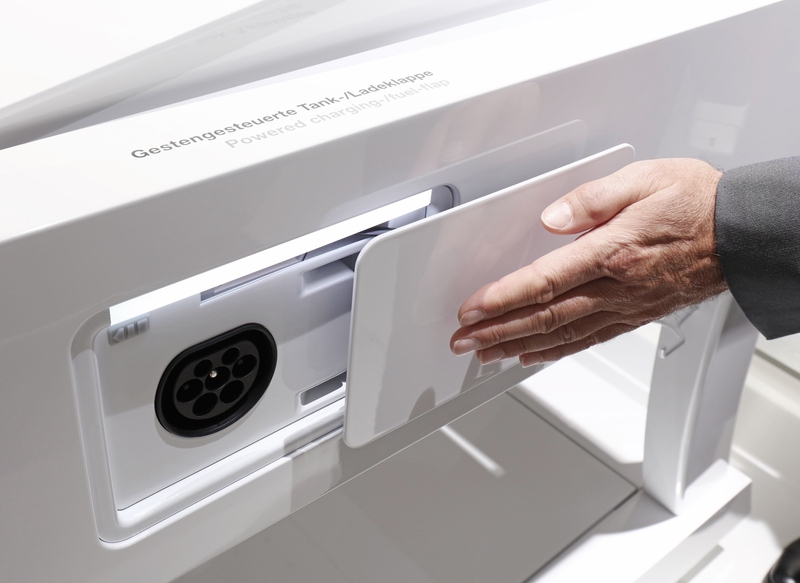 Brose is looking into the automobile’s future at the 2015 International Motor Show in Frankfurt. The globally operating supplier is presenting three concept studies that all have to do with the topics of safety and comfort. These studies show how luggage can be stowed more safely in a car’s trunk, how buckling up will be more comfortable and how filling up gas or refilling windshield washer fluid will be cleaner and less complicated in the future. The aim of all the concepts is to make the everyday life of car drivers easier. This is how the luggage-securing feature works: when the liftgate opens, a textile net designed to secure the luggage slides out of the bottom of the trunk. The luggage is placed in the trunk. When the liftgate closes, the luggage is automatically enveloped by the textile net and securely lashed. This means the luggage stays put during the ride and does not slide about when the car brakes suddenly. Brose links this technology up with its multi-award winning system for touch-free opening and closing of the liftgate. The luggage-securing feature can therefore be combined but can also be ordered separately. 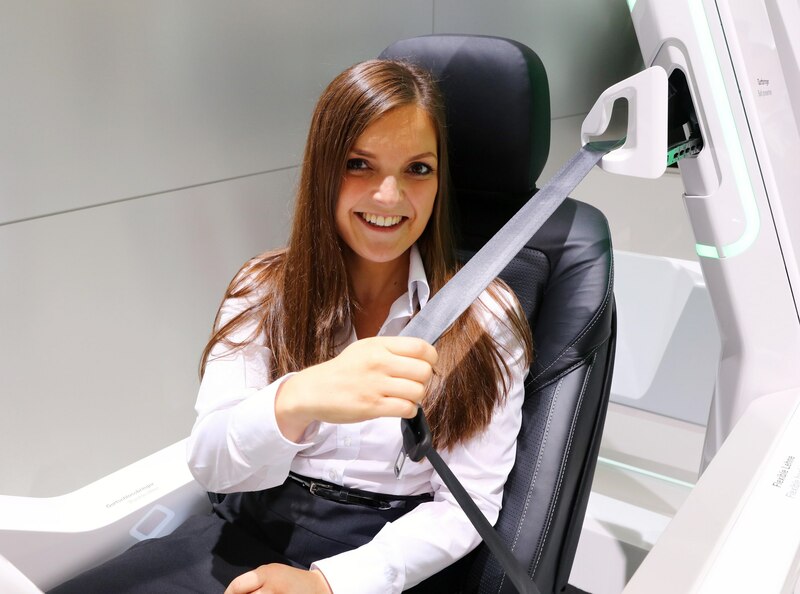 Brose is presenting a solution at the IAA that makes buckling up more comfortable. A power drive presents the belt to the passenger in front seats or freestanding single seats, and at the same time the buckle is raised, thus making buckling up effortless. Both components can be integrated and hidden in the trim. This permits a new kind of design freedom for the interior of the car. A flexible seat complements the belt functions: the outer part of the backrest moves backwards and supports the turning movement of the passenger. This makes it easier to buckle up and also to get in and out of the car. A mere movement of the hands will suffice in future to open the tank lid or engine hood touch-free. The advantage: your fingers stay clean. Brose makes this possible by using capacitive sensor technology. The car hood only opens as much as is necessary. The windshield washer fluid funnel moves from under the hood towards the car owner, thus making the refilling procedure easier. As you can no longer see into the engine compartment, carmakers can do away with elaborate coverings and thus save weight. The idea can also be used for a new generation of electric vehicles. With a mere hand movement, the motor hood opens slightly and the charging cable can be connected. This solution makes sense particularly if the car is generally recharged inductively; to be on the safe side a classic socket should be available as well. Press picture "power drive belt to the passenger"
Press picture "capacitive sensor technology"